Taking Care of Your Orchid: What Are Air Roots? Orchid air roots are not that uncommon. 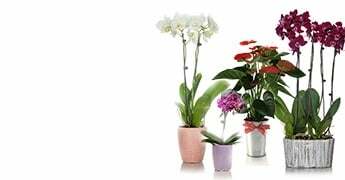 But if you are new to Phalaenopsis orchids, the term may be unfamiliar to you. If you ever notice some of your orchid’s roots beginning to grow or loop above the surface of the growing medium, you have air roots. They’re also known as aerial roots and can be a little daunting at first. You may worry that your orchid has become pot-bound and is in need of repotting. This is a common error. As a rule, Phalaenopsis orchids only need to be repotted every year or two. 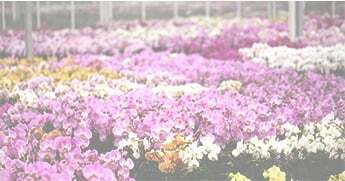 Your potting mix really doesn’t have much to do with it, but let’s take a look at how orchid air roots develop and grow. Air roots are normal in Phalaenopsis and other epiphyte orchids. Epiphyte means they grow on other plants, which is typically a tree in a tropical rainforest. Unlike terrestrial orchids that root in the earth, epiphyte orchids grow above the ground, using their roots to attach themselves to tree branches. In their native tropic environment, Phalaenopsis orchids can be found clinging to tree branches high above the jungle floor. Plants that grow this way are trying to reach the light filtering through the leafy canopy. The indirect sunlight is more plentiful above ground. 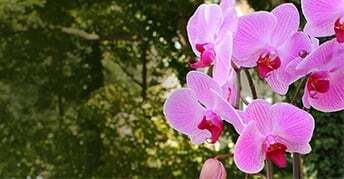 Unlike other plants that attach themselves to trees, Phalaenopsis orchids are not parasitic. Epiphyte orchids use their roots to absorb nutrients from the air. They also absorb moisture and get the carbon dioxide they need to thrive directly from the air. This unique root system uses the humidity around it to get the water and nutrients it needs to survive. 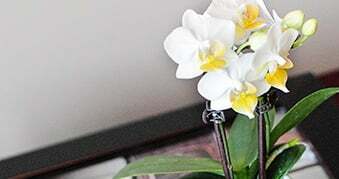 If your orchid air roots are firm and white, they are healthy. You don’t need to do anything at all. This is normal behavior. If you examine the roots of your Phalaenopsis orchid, you will notice that they are thick and coated with a spongy material. This material not only helps keep the plant attached to tree bark, but it also aids nutrient absorption. This spongy epidural tissue is called “velamen.” It’s like skin, but this is not thick skin. It only goes a few cells deep. Velamen helps orchid roots absorb water and nitrogen from the air. It also provides the stickiness that allows epiphytic orchids to cling to tree branches. When Phalaenopsis orchid roots are healthy, velamen is silvery-white, round and plump. You should definitely not remove healthy air roots. There’s a good chance you can harm your plant. You could even introduce a dangerous virus. In homes with low humidity, air roots can turn yellow and shrivel. 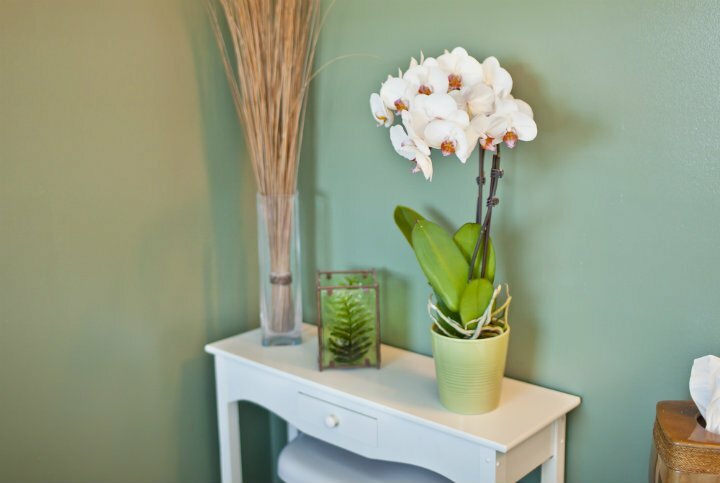 Should this occur, wait until your orchid stops blooming, then use a sterile knife or scissors to cut away the shriveled roots. There’s also the chance your plant is outgrowing your pot. 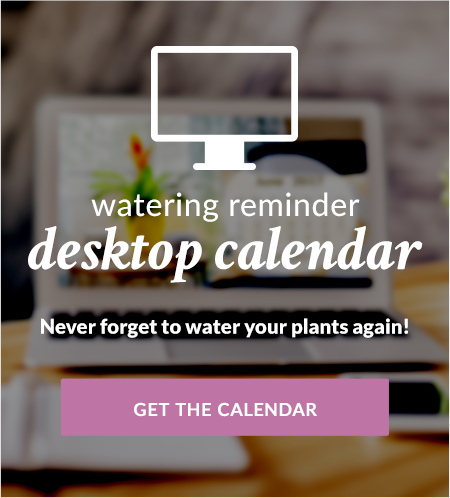 If you need to repot your plant, here’s an easy way to learn how. You can watch our video. It will show you everything you need to know. Or you can download our guide for some orchid root health tips.